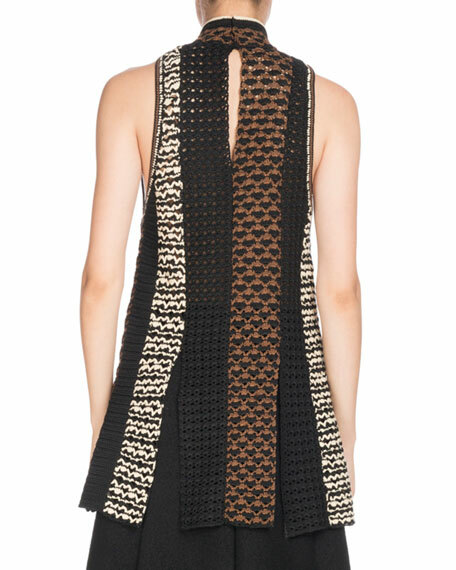 Proenza Schouler multicolor crochet tunic. Mock neckline; ties at back. 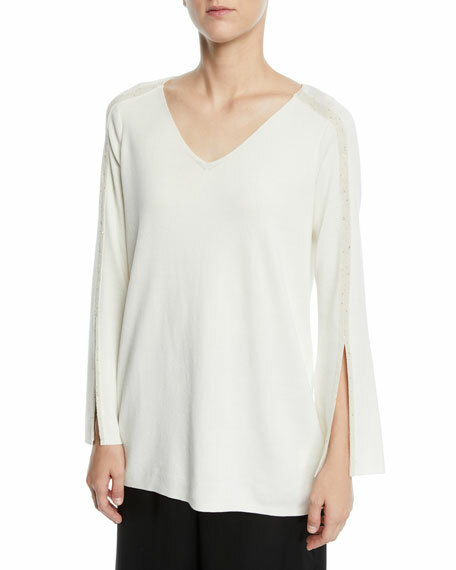 Akris l silk pleat back top tunic in silk crpe,, featuring back pliss inset. Mock neck; button front. Long sleeves. Relaxed fit. High-low hem. Silk. Imported. 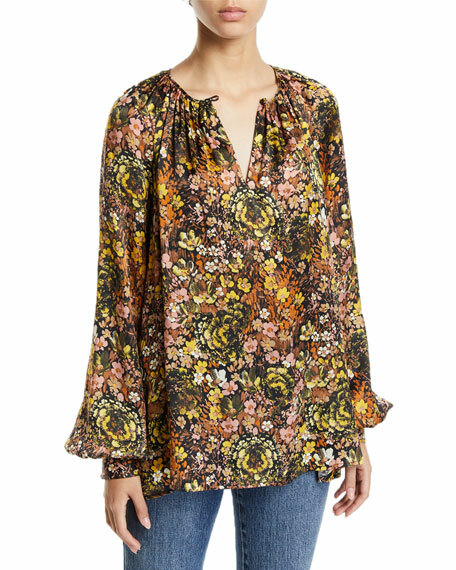 Co blouse in floral-print georgette. Split neckline; button keyhole detail. Long raglan sleeves with barrel cuffs. Relaxed fit. Pullover style. Flowy hem. Silk. Imported. 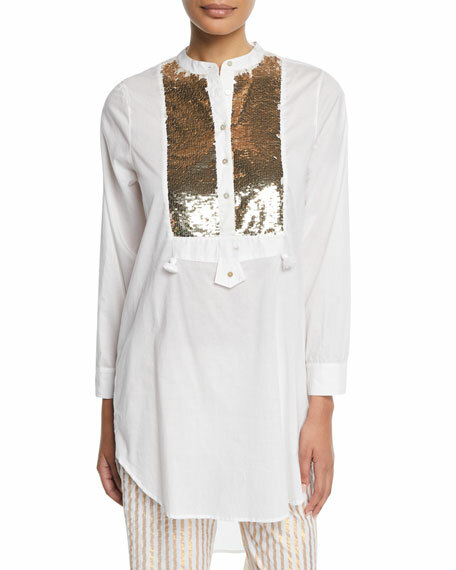 Figue "Thalie" cotton tunic, featuring golden-sequined bib front with tassel accents. Approx. 35"L from shoulder to hem. Crew neckline; half-button front. Long sleeves. Long, relaxed fit. Shirttail hem. Pullover style. Imported. 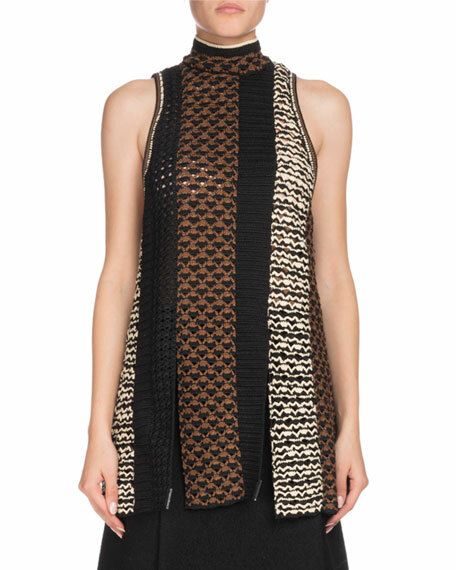 Lafayette 148 New York tunic with sequined metallic detail trim. V neckline. Long sleeves; split cuffs. Relaxed silhouette. Even hem. Pullover style. Cotton/silk/Lurex metallic fibers. Unlined. Imported.